This wear test is designed as a screening test to evaluate wear properties of combinations of materials that are being considered for use as bearing surfaces of human total joint prostheses. 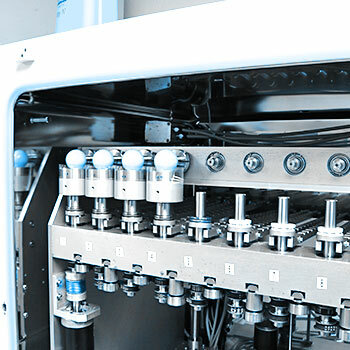 The EndoLab® ball on plate simulator is used for testing. During testing, polymeric plates articulate against metal or ceramic balls and are subjected to a constant axial load. Routine testing is performed using bovine serum as a test fluid. The wear of the polymer plates is determined by weight loss measurements.